By now many who follow my facebook page have seen this picture taken at the 2013 NC State Fair. But what you may not know is that the photo won First Place honors for “Fair Agricultural Photo” at the recent International Association of Fairs and Exhibits (IAFE) annual conference held in Las Vegas, Nevada. Quite honestly I didn’t know either until I read about it in the January edition of the NC Agricultural Review. The photograph received one of several awards given to the NC State Fair. 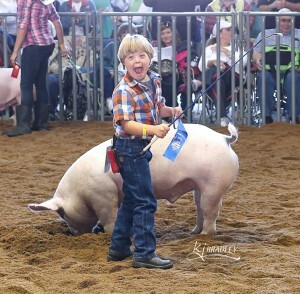 The image is of a little boy named Mason Stallings whose pig won first place in its class in the Junior Barrow Swine Show. 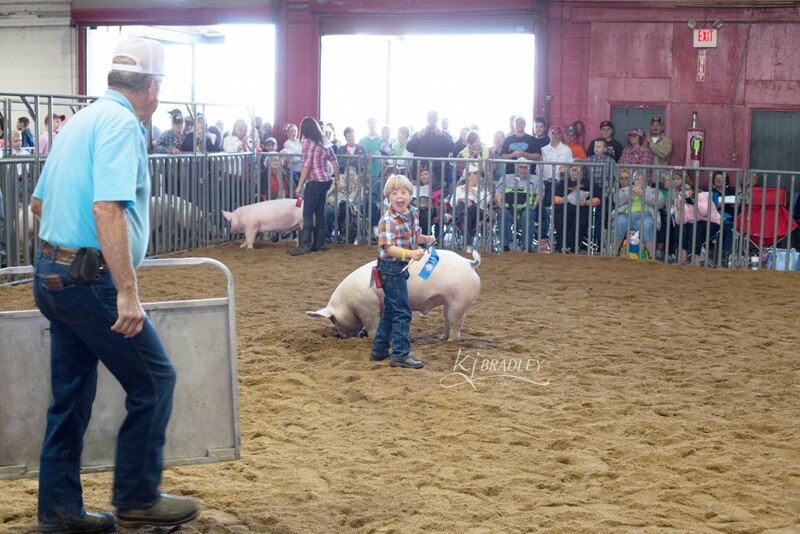 (Some have INCORRECTLY identified the picture as being part of the “Special Awards Show.”) Mason did an awesome job showing his pig and the judge recognized it as the best in the ring. My part of this picture was simply being in the right place at the right time with a camera. Mason is the star. For my photographer nerd friends, there is a back story to the picture. It was one of those days that I decided to be “off” as a photographer and “on” as a mom. I wasn’t even going to take a camera when I went to see my sons participate in the swine show, but at the last moment, I grabbed my Canon which happened to have 50 mm lens attached. Extreme backlighting and the size of the show ring generally require a much longer lens and ideal placement of the photographer since flash is not recommended during the show. Without my camera bag and stash of lens choices, I took the best spot I could find and waited to take some “snapshots.” I noticed Mason and realized his dad was not in a good place to take pictures. Luckily, he gave me permission to snap, and I pushed the button at just the right moment. I feel privileged and humbled to have been able to capture this moment and to get to know Mason. He is an amazing young man who has blessed many people with his joyous smile and enthusiasm for livestock. I suspect there will be many more ribbons in his future. Update added April, 2016: By request, here is the uncropped image that shows the larger context of the moment. Three years later, it still brings me as much joy as the day I took it. This image is registered with the US Copyright Office. while I am happy for it to be shared for good causes with proper permission, unauthorized duplication is prohibited.